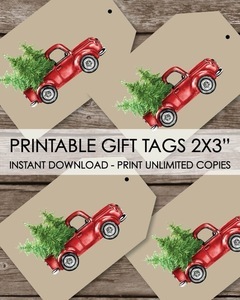 Printable Christmas Gift Tags - Red Vintage Truck Holiday Winter Theme for a winter baby shower, holiday gift giving, or any occasion or party! You will receive your favor tags as soon as you place your order - No waiting! Download the file to your computer to keep forever. 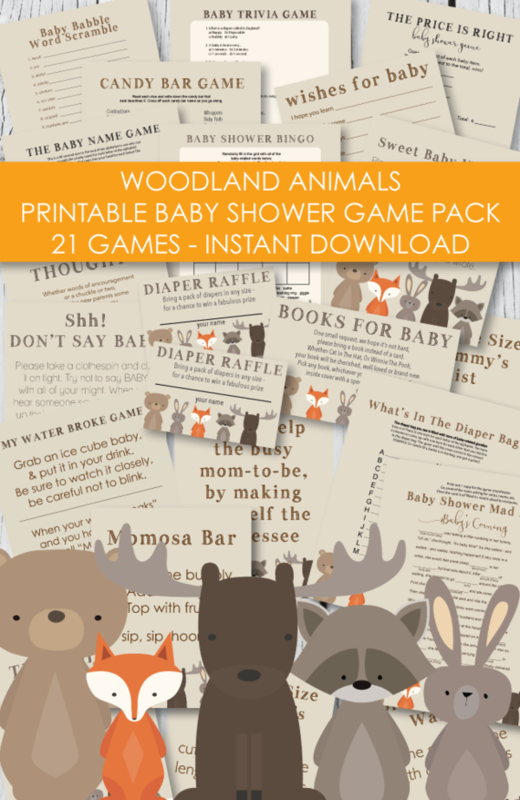 Print as many as you need - anytime you need them! 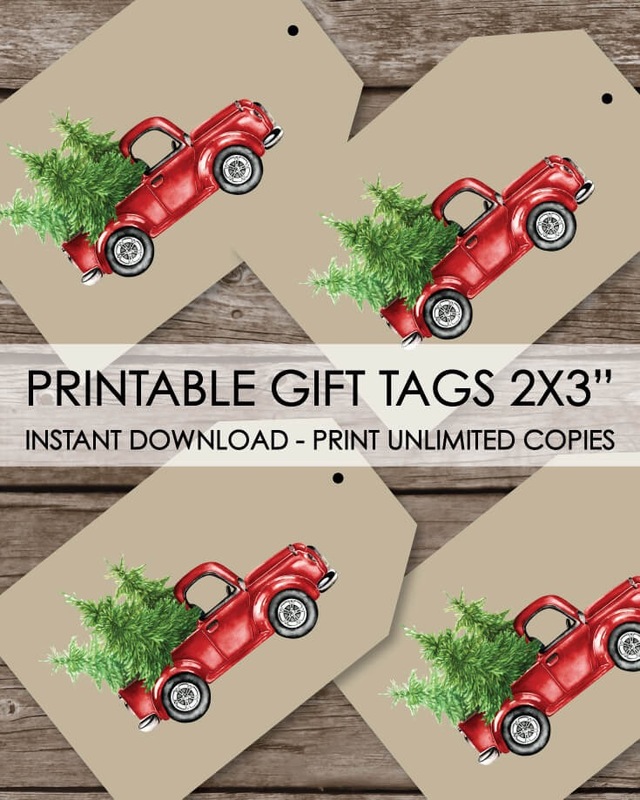 Use as favor tags, gift tags, thank you tags, print onto sticker paper for instant stickers! This is a printable PDF file that will be emailed to you. 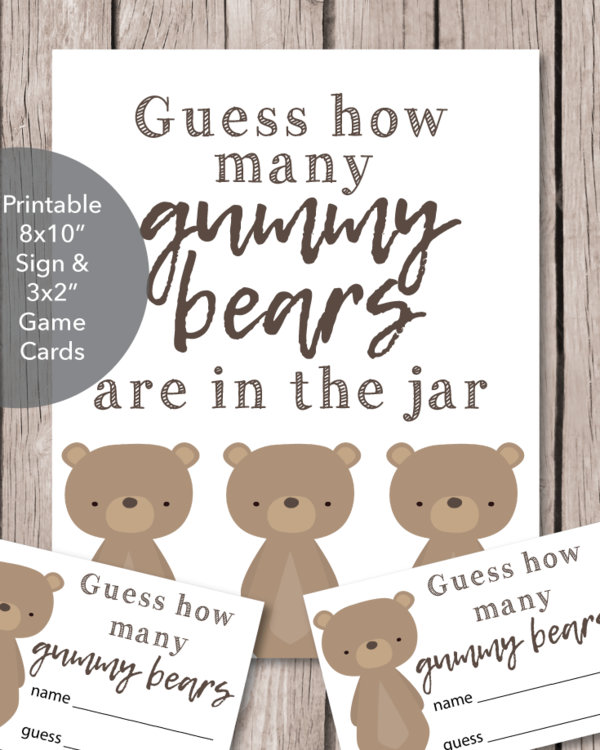 kraft/tan color on one side - print onto cardstock or copy paper.